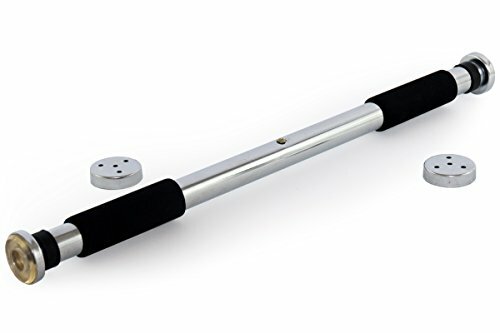 ProSource Heavy Duty Doorway Mount Pull Up/Chin-Up Bar, Adjustable with Foam Grips for Home Workouts by ProSource at Strongman Pictures. MPN: ps-1110-cu-lite. Hurry! Limited time offer. Offer valid only while supplies last.